This Colorado Trail Race training plan is designed to prepare a mountain bike racer for the Colorado Trail Race. We love the Colorado Trail! 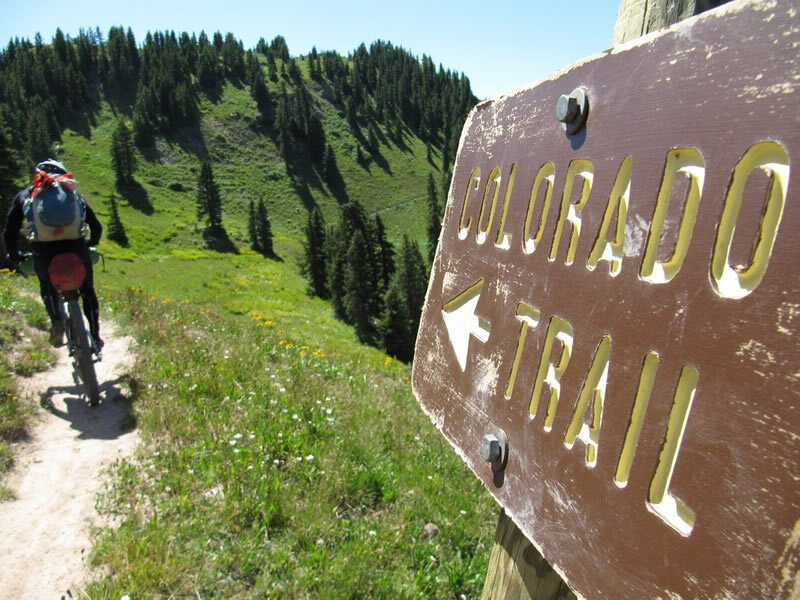 The trail would not exist and CTR would not happen without the efforts of the Colorado Trail Foundation. LW Coaching will donate 10% of all CTR plan proceeds to the CTF. This plan is available in PDF or TrainingPeaks format. The PDF preview is for weeks 1 and 3. Use the green add to cart button below to purchase the PDF format. Once downloaded plans are non-refundable. This 12 week training plan is for an experienced endurance racer who has completed one or more endurance events (12+ hours) and is ready to commit to racing the Colorado Trail. This plan is detailed and committing, assuming performance in CTR is one of the top priorities in your life for the next 12 weeks. Your goal is to finish, and to stretch out your personal limits to learn just how fast you can complete this beast . The plan has big hours and hard training. It is an aggressive plan designed to push you to your limits in pursuit of the perfect alpine multi-day racing experience. Prior to starting this plan you should be confident riding fast on dirt roads and single track, be comfortable riding in the dark and managing your equipment and lighting systems. You should have been riding 5-6 times per week and have a solid aerobic and strength base established. Four hour rides have been a regular part of your riding routine for at least the past 6 weeks. You are full of motivation to train hard, and well rested prior to the start of the plan. You are spending the next 12 weeks putting a fine point on the self-supported multi-day race specific aspect. You are peaking for the Colorado Trail Race. This plan was designed using the concepts of the Performance Manager. For power meter users, the ideal starting point for this plan is a CTL of 80-100 and an ATL of under 75. The above are intended to serve as informative guidelines rather than a complete race execution plan. This plan is paced by Power (watts), heart rate and perceived exertion. A heart rate monitor is recommended to follow this training plan. A power meter is an optional (and highly advantageous) extra. A power meter is not required to successfully follow this training plan. Most cycling workouts in this plan contain both power and heart rate pacing instructions. As a result of the extreme elevations of CTR, to race well – and to avoid Acute Mountain Sickness – it is recommended to spend the 10 days prior to CTR at elevation acclimatizing. Full details are included with the plan.